My favorite part about coming home to Penfield, NY is catching up with family and friends who have played a significant role in my life and continue to have a significant impact on my life for many years to come. I spent a great deal of time with my immediate family, grandparents and my handful of friends from high school that I always catch up with when returning home. In celebration of my dad’s final Penfield High School Wind Ensemble concert this past week, I had the chance to catch up with many individuals who impacted my family’s musical endeavors throughout our adolescent years and beyond. One of these individuals was one of my very first band teachers, Mrs. Wendy Kluge. Mrs. Kluge is one of the most energetic, selfless and sweetest individuals I have ever met. My family and I are so lucky to have learned from her and built such valuable friendships with her throughout the years. After Mrs. Kluge coordinated a surprise performance of “I Got Rhythm” for my brothers and I along with many alumni of my Dad’s past wind ensemble groups, we talked about catching up for a coffee date before I head back to DC this evening. We could not stop talking and reminiscing over the past as we sat at Starbucks enjoying coffee and these experimental “scuffins” that I made. 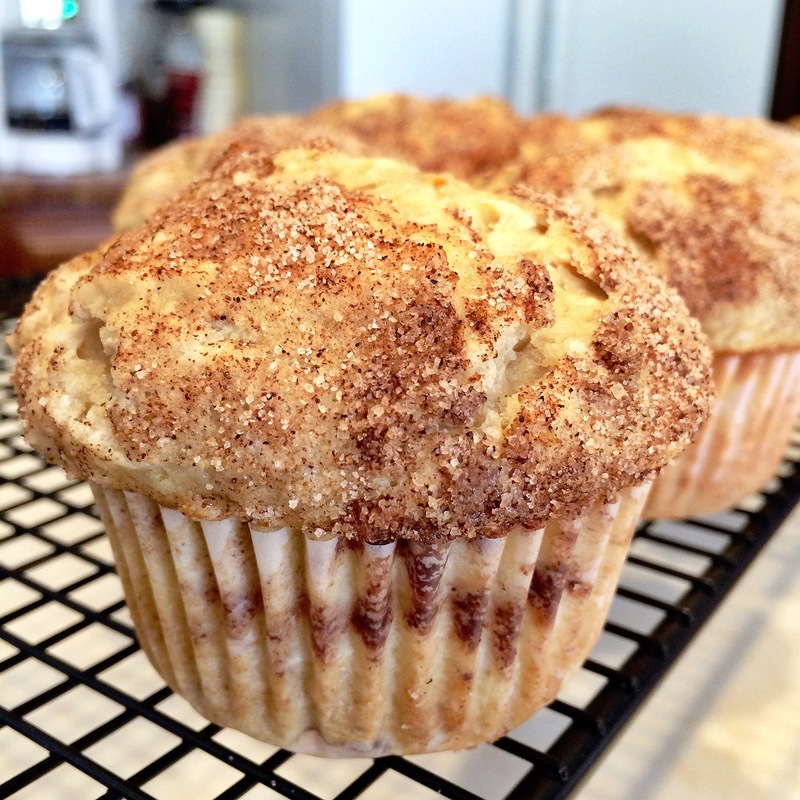 They are very tasty, with a consistency similar to that of a scone, but in muffin form! They are the perfect pair to your morning cup of joe. You can make them into muffins or scones, or even better…scuffins! Enjoy! Preheat oven to 375 degrees F. In a large bowl, mix together flour, sugar and baking powder. Then mix in butter and shortening with a pastry cutter. In a medium bowl mix marmalade, jam, orange juice, lemon juice, vanilla extract and eggs. Pour into dry ingredients and mix until just combined. Spoon batter into muffin cups, filling them 3/4 of the way full. In a small dish mix together sugar, cinnamon and nutmeg. Sprinkle ~1 tsp. of the mix atop each muffin cup. Place in the oven and bake for 20-23 minutes. Bon appétit! Previous Post Rye so serious? !